The art and science of wine making has been around for thousands of years. The process is largely a natural one and does not need to have much human interaction, however different wine makers employ various techniques throughout the process, which makes their wine unique. The five main stages involved in wine making are harvesting, crushing and pressing, fermentation, clarification and ageing and bottling. Harvesting plays an important part in determining the sweetness, acidity and flavour of the wine. When to harvest depends on the balance of the grapes, they should be equally acidic and sweet. This can be tested using science and of course tasting. The weather affects when to harvest and some makers choose to harvest at night, often in the hotter climates. 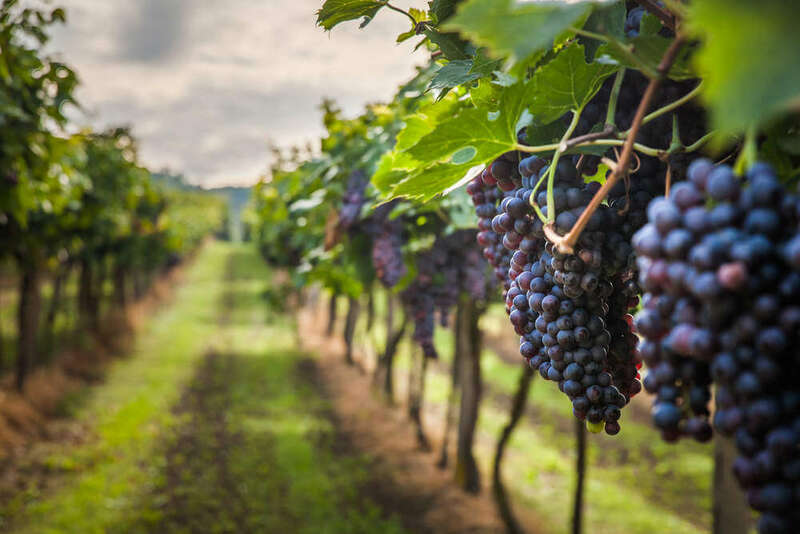 The actual harvesting itself can be done by machine or by hand and this depends upon the vineyard and grapes involved, so each wine maker decides which process to use accordingly. The harvested grapes are then taken to the winery where they are checked and bunched, with the rotten or under ripe grapes disposed of. In earlier years men and women did crushing and pressing manually, by standing on the grapes with their feet but it is now largely done by machines. De-stemmers now de-stem the grapes, which are then stomped mechanically into what is called must. The must includes the seeds, skins and solids as well as the fresh grape juice. Due to the introduction of technology into the crushing and pressing phase, the longevity and sanitary quality of the wine has vastly improved. Depending on the desired outcome of the wine, the wine maker will either crush quickly and separate the juice from all the other parts for a white wine or let the skins, seeds and solids remain in contact with the juice for a red wine. Must can naturally start fermenting within 6-12 hours when interacting with wild yeast, which is essentially yeast in the air and on surfaces around the winery. These days wine makers tend to add their own cultured yeast to allow for a predictable end result and consistent wine production between batches. The fermentation process can be stopped before all sugar has converted to alcohol if the maker is after a sweeter wine and continues fermentation until all sugar has turned into alcohol for a dry wine. This process can take anywhere from 10 days to over a month. Clarification involves removing all the unwanted components from the recently fermented must. Proteins, dead yeast cells and tannins are removed through fining and filtering the wine. Filtration uses filters to catch the larger particles still in the wine where as fining requires a substance to be added which will sink to the bottom forcing the unwanted components with it. A common substance used is clay. The wine is then racked into a vessel ready for bottling or ageing, or both. With ageing, the wine maker can either achieve this when the wine is bottled, oak barrels or stainless steel vessels. Depending on how the wine is aged, the taste and style will vary accordingly. Punchy white wines are often aged in stainless steel with smoother sweeter flavoured wines aged in oak barrels. Ageing within bottles takes considerably longer to reach its peak flavour. Most wine consumed by the public is on average 2 years aged.